The first ever International Exhibition and Trade Fair commenced in Kilinochchi Central College ground premises on 26 July 2013. Governor of Northern Province GA Chandrasiri participated as the chief guest and inaugurated the exhibition. The exhibition will be held for 3 days from 26th to 28 July 2013. 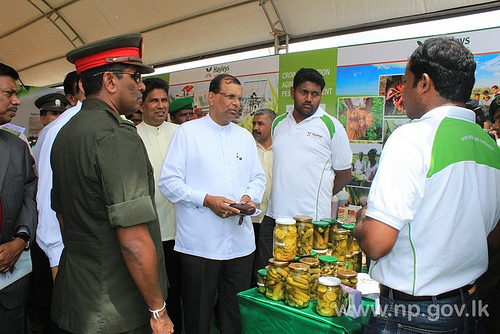 The exhibition is organized by Ag Biz North and FCCISL with the support of Ministry of Agriculture, Ministry of Economic Development, Kilinochchi District Secretariat and Security Forces Head Quarters, Kilinochchi. The event will be a new beginning for the people of Kilinochchi. Large number of people are visiting the exhibition. This exhibition paved the path to the entrepreneurs to participate in this mega event. The exhibition combined with sophisticated technologies and knowledge of the business delegations would open new horizons to the emerging business and agricultural communities in the region. Prospective entrepreneurs in the region, investors, and farmers, fishing communities, students and school leavers are expected to visit the exhibition. 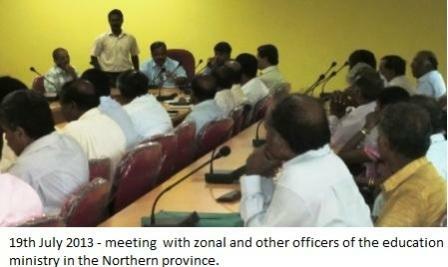 The Secretary to the Ministry of Education of the Northern Province convened a meeting of Zonal Directors in the Jaffna District along with other Education Ministry officials to discuss possible improvements to educational services in the North. The meeting was held on the initiative of the Governor following reports by Professor Rajiva Wijesinha MP, Advisor on Reconciliation to HE the President on matters that had been brought to his attention at Divisional Secretariat Reconciliation meetings he has attended during this year throughout the Province. Community leaders, farmers, villagers and military authorities in Urelu area met on the 14th July to discuss the possibilities of giving further assistance to development work on the track. This development committee meeting was held at the Headquarters 25 Vijayabahu Infantry Regiment (25 VIR) at Urelu. Development of health and sanitation, education and other infra structure facilities were discussed at the meeting. Commanding Officer 25 VIR Major K.A.R. 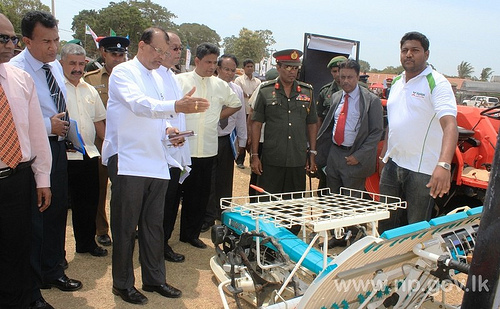 Jayasinghe assured that Army’s assistance will continue towards the development in the area. The session came to an end with lunch hosted b the 25 VIR battalion. 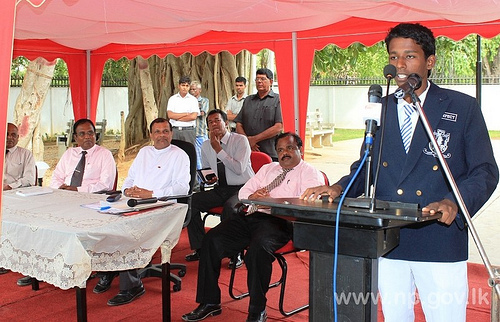 All Island Tamil Language Day 2013 competitions were held in Colombo Royal College on 13th July 2013. Northern Province competed in 50 categories including 40 individual performances and 10 group performances and possessed 24 first places, 08 second places and 04 third places. It should be noted that 9 first places were achieved through group performances. The felicitation ceremony was held at Governor’s Secretariat on 16th July 2013. Governor of Northern Province GA Chandrasiri participated as the chief guest and appreciated and encouraged all the winners. The students from all five districts of the province took part at this ceremony. Secretary to the Governor L.Ilaangovan, Secretary to the Provincial Ministry of Education S.Sathiyaseelan, Provincial Director of Education V.Selvarajah, zonal directors, principals and teachers also participated at this event. 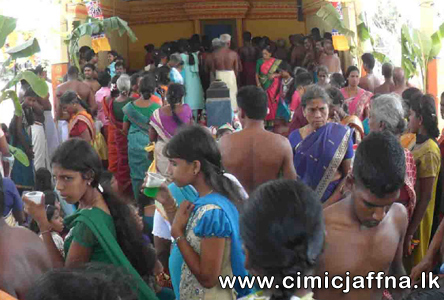 The annual festival of Kovilakkandy Paththini Amman Temple was held on 21st June. The Commanding Officer and the troops of the 18th Gemunu Watch (18 GW) serving in Thanankilappu, who participated in the festival on invitation of the Kovil authority, offered snacks and soft drinks for nearly 800 devotees present to offer Pooja to the deity on the festival day. On the instructions of the Commanding Officer 18 GW Lieutenant Colonel Sampath Bulathgama, soldiers prepared the temple site for the Pooja cleaning it in a shramadana organized prior to the festival. This is an account of a hopeful story from my friend Skanda Kumar Aruni. It is these acts of kindness and humaneness that raises hopes for our country. Just back from Killinochchi (at 4 am Monday morning after having left at 8 am on Sunday)!! It was a rewarding trip that allowed a group of us to visit an orphanage of 330 children, and see the work that a retired GA in charge, Rasanayagam, is doing for them and for 6000 widows in that area. We also visited a Harmony Centre constructed by the army that will soon provide access to IT, English etc and also has a badminton court and modest gym facilities . We then went to a village adopted by the Foundation of Goodness (a Kusils brainchild supported by Murali Sanga and Mahela) which has installed outdoor toilets and water facilities through wells for the people there. Met up with around 15 educated young women looking for opportunities to be self employed. I have returned with a proposal they have made to that which will require Rs 150,000 (in order to become a supplier to the many shops in consumer products in town) and once it is examined and approved by Kushils staff I will try and raise the funds and channel it through the foundation for monitoring purposes. We saw for ourselves the interaction between the army and the civilian population that was reflected in the resurgence of perhaps the biggest town in the North that was devastated in the closing stages of the war. 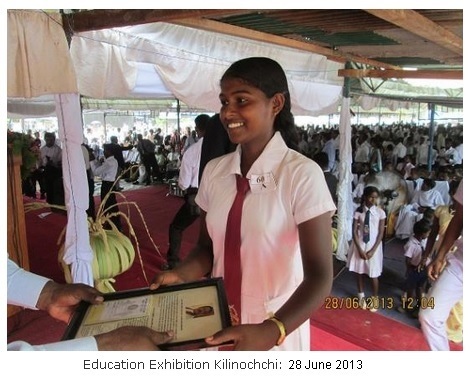 It was an unmatched performance, two-day emotion packed ceremony – Education exhibition in Kilinochchi, organized by Major General Udaya Perera, Security Forces Commander, at the Kilinochchi Madhya Mahavidyalayam from 28 to 29 June. Kilinochchi Security Forces Commander has written a new chapter in the ‘reconciliation concept’ and on how to win the hearts and mind of the people. People and students of Kilinochchi were flabbergasted over the compassion the Security Forces Commander and his men and women shown in the education of the students. 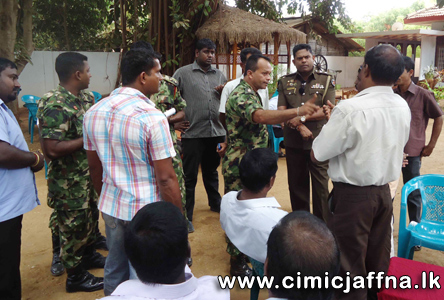 Security Forces in Kilinochchi has shown their concern and interest in the welfare of the children of Kilinochchi, as if they were their brothers’ and sisters’ children – something unbelievable and exemplary. At the two-day Education Exhibition, total number of 1554 Scholarships were awarded for students of 121 Schools coming under SFHQ (Kilinochchi) from the districts of Kilinochchi, Mullaitivu and Mannar.